Preparing to upgrade the popular Xiaomi Redmi Note 5 Pro smartphone It will be known as Redmi Note 6 Pro. In the past few weeks, information about this smartphone of Xiaomi has been leaked many times. But no official declaration has been made so far on the date of its launch. Redmi Note 6 Pro is now listed on another international retail website. In addition, a popular Indian tech youtuber has made the hands-on video public of this smartphone. With the latest information, it seems that the cost of the Redmi Note 6 Pro will be much higher than the old variants. Let us explain this in detail. List of Xiaomi Redmi Note 6 Pro on a retail website of Moldova has been done. Explain that this is an Eastern European country. On the website, Shawomi's current smartphone has 3 GB RAM and 32 GB storage variant is listed in 5,799 MLD which is about 25,000 rupees. This price is much higher than the Redmi Note 5 Pro. 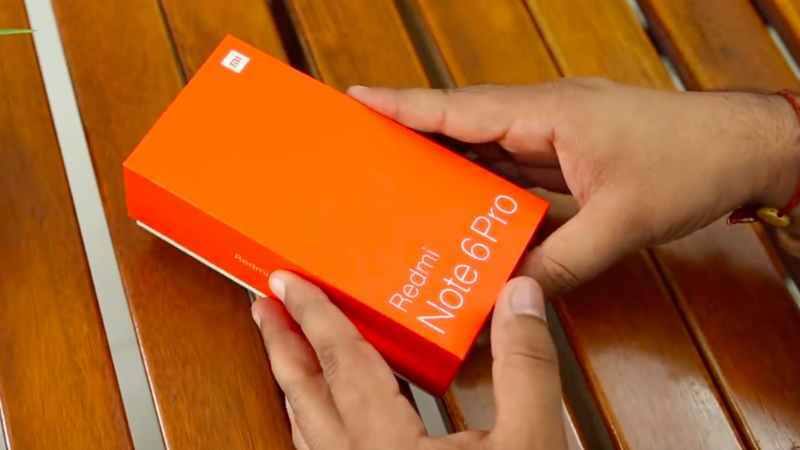 Last week 's listing of AliXpress The price of the Global Redmi Note 6 Pro variant was claimed to be between $ 193.99 (about Rs 14,100) and $ 218.99 (about Rs 15,900). This video shows the unit with black color variants. It is equipped with 3 GB of RAM and 32 GB of storage. Inside the box are a 10-watt charger, Micro-USB cable, SIM ejector tool and TPU back cover. This phone design is very much shammy redmi note 5 pro. This out of the box will run on the Mui 9.6 based on the Android 8.1 Orao.